This is a classic Italian dish that has become a worldwide favourite. I have always loved it, and thanks to the good quality gluten-free pasta around, I’m not going to have to give it up any time soon. 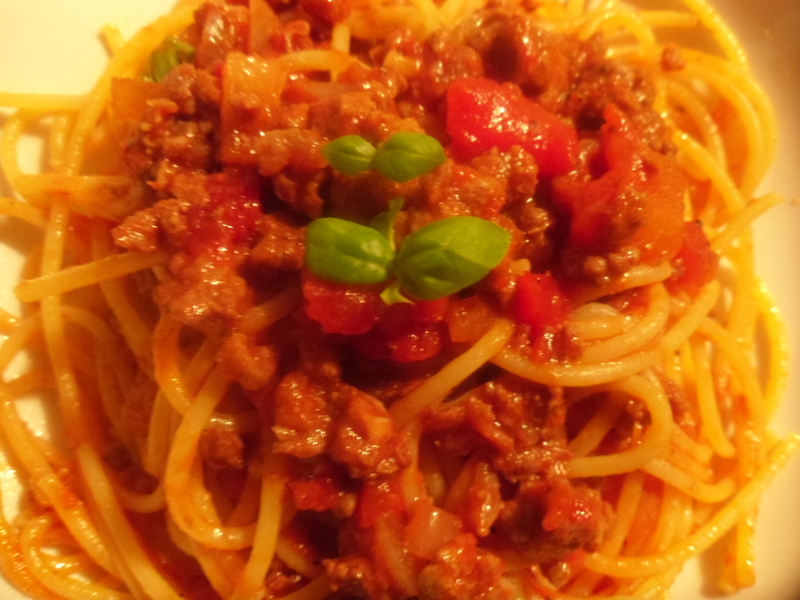 My Bolognese recipe is pretty traditional, but I like to add a lot of chilli because I love my spicy food. It makes me feel all warm inside. I usually make more than I can eat so that I can have it the next day. After all, it’s one of the unexplainable facts of life that food always tastes better when re-warmed the next day. Fry the chilli, Cajun spices, garlic and onion in some olive oil. 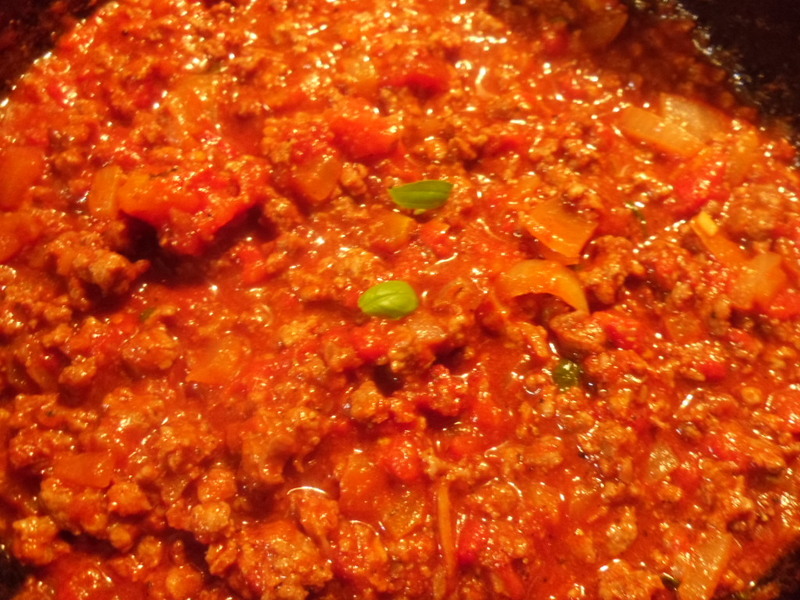 Add the minced meat and mix well. When the meat just starts to brown, add the tomato pulp, tomato paste and red wine, and leave to simmer on low heat for 20 minutes. Mix in the brown sugar, and add salt and pepper to taste. Turn off the heat and cut some fresh basil leaves into the sauce. 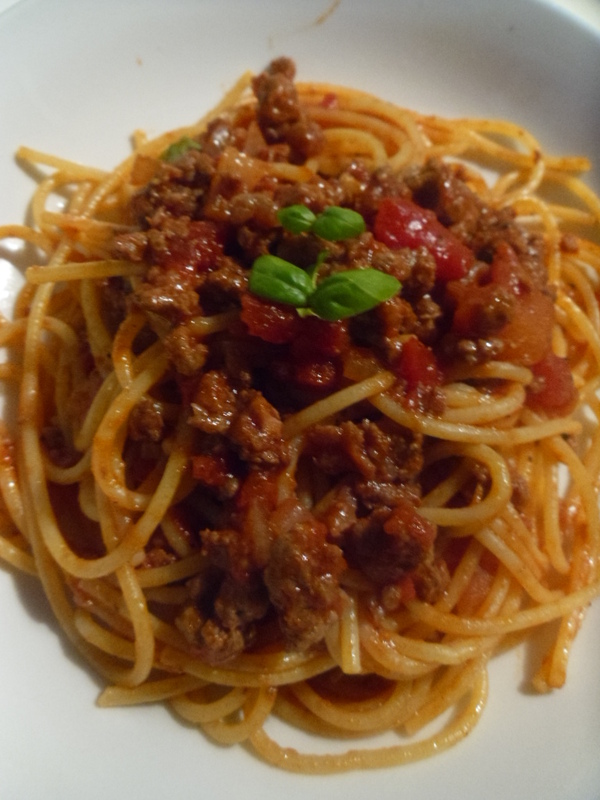 Boil some gluten-free pasta, mix the pasta well with the sauce, and serve with some grated Parmeggiano.